Create today as your celebration of life. Express yourself Today! There is something of ourselves that cannot be said in words. Perhaps that something can be expressed in form or color, dance or music. 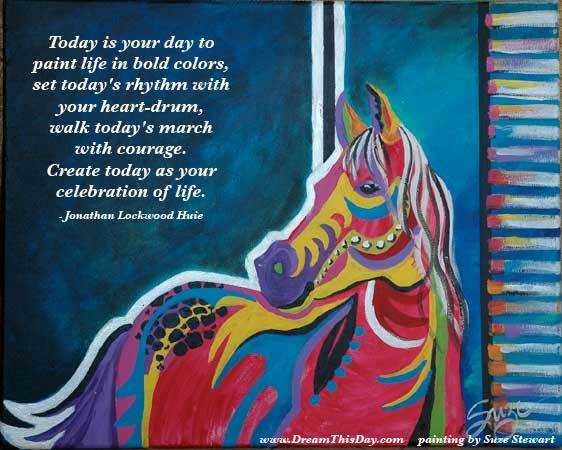 If only with crayons or a tin drum, let that something that cannot be said move your hands or your body today.